Ever since the introduction of Inbox, users that preferred to stick with Gmail have called for some of the features from the new app to be made available for them. We've already seen this happen with smart replies, and the developers have confirmed the snooze feature is coming, which appears to be right around the corner. The next feature making its way across the divide is going to be follow-up suggestions. When we first saw follow-up suggestions in a mid-2017 teardown, the feature was internally referred to as 'nudges.' While some of the wording is slightly different for a few strings, the new text in Gmail is nearly identical to what was added to Inbox. The Location search filter first turned up just about one month ago in v13.06, but it was actually around the middle of last year that we saw the first clue location-aware search was in the works. 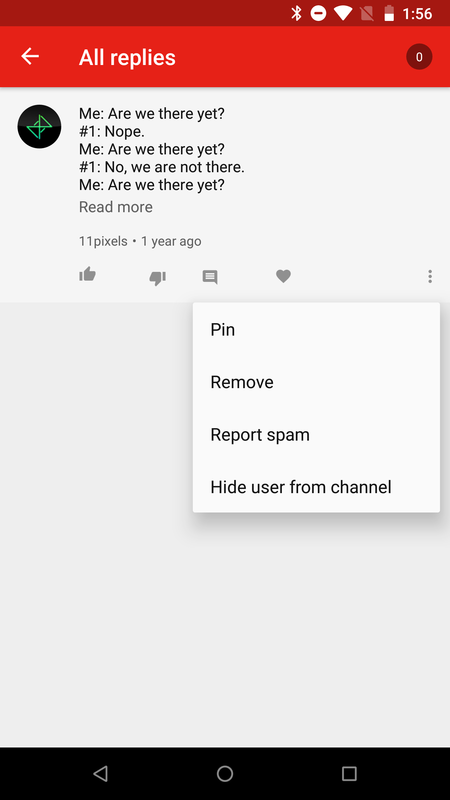 Turning on the location filter is simple, just perform a search (there's no access to filters until you're in search results), then look for the filter button at the top-right corner of the screen. Tap on the Location bubble and hit apply. Testing with the filter enabled showed extremely mixed results, and I'm not convinced it's actually working properly yet. Part of the problem is that it's not really clear what filtering for locations actually means, though I'm assuming it's just searching for videos that have been geotagged. To be honest, I'm not sure that's a very useful filter, as the screenshots above demonstrates. Somebody could post a video of a band covering the song Beverly Hills by Weezer, geotag it with the place they played, let's say it was at a pub in Ireland, and every location-filtered search for Beverly Hills is going to appear with this cover song. 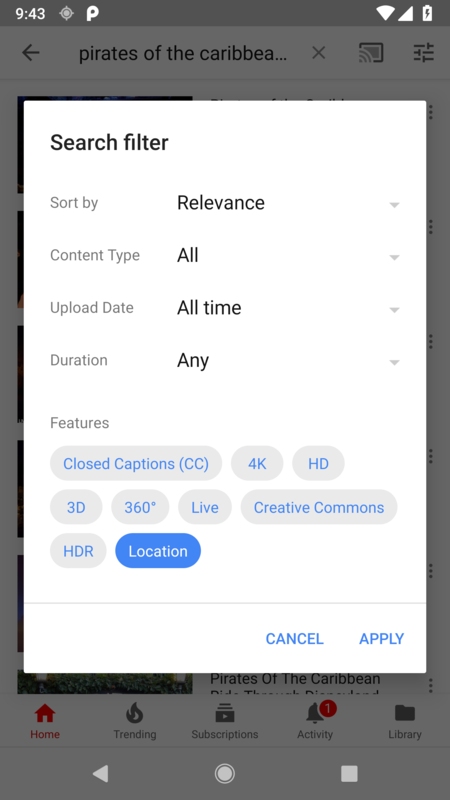 I guess I was always hoping it would allow users to search for a location and get videos that clearly relate to that place, but maybe that's still in the works. Anyway, there's a new line mentioning a "floaty bar" in the name. 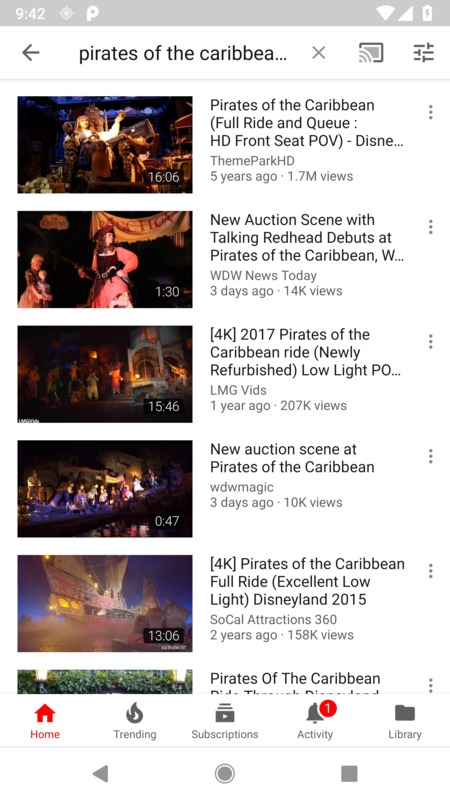 Given the timing, I'm inclined to guess that it's related to the new "miniplayer bar" YouTube began trialing a few days ago on the website. Of course, a very similar floating bar was tested nearly a year ago, so this could just be a new instruction to go with that version of the floating video player. Of course, this is the first time the name "floaty bar" has appeared in the text, so it could also mean there's yet another variant on the way. For those live streamers out there, it looks like you'll be able to delete the accompanying chat session if you like. This will be a new command in the overflow menu on your live stream. If you decide to use it, you'll see a confirmation prompt with a warning that deleting the chat will remove it for all participants, then suggesting that you might prefer to disable notifications instead. I'm not sure if this is live yet, so perhaps the live streamers out there might want to check for it themselves. If you're just a member of the chat, but not actually running the show, there will also be a command to leave the chat. The YouTube Music app has been getting a lot of attention in the last few months, albeit mostly in the context of things that will happen, not things that have changed. Aside from adding double-tap to seek and expanding to tablets, plus a couple cosmetic changes to the launcher icon and menus, most of our articles regarding the spin-off music app have begun with the words: hint, prepare, or soon. It's not surprising since YouTube Music has been the source of many hints about some significant upcoming changes, including a new 'Premiere' product name – not to be confused with Remix or Plus. We're also looking forward to YouTube taking control of Google Play Music, which is starting to look like YouTube Music may just gobble up the Play Music app. The update to v2.23 happens to continue the trend. There aren't any visible changes to the app, but there are a few interesting lines regarding upcoming changes. Two new strings point to an option that allows users to switch to or between the official video and official audio versions of songs. This looks like it may be an extension of the artist channels that launched back in January. If so, it would likely link users to the official versions of a song. 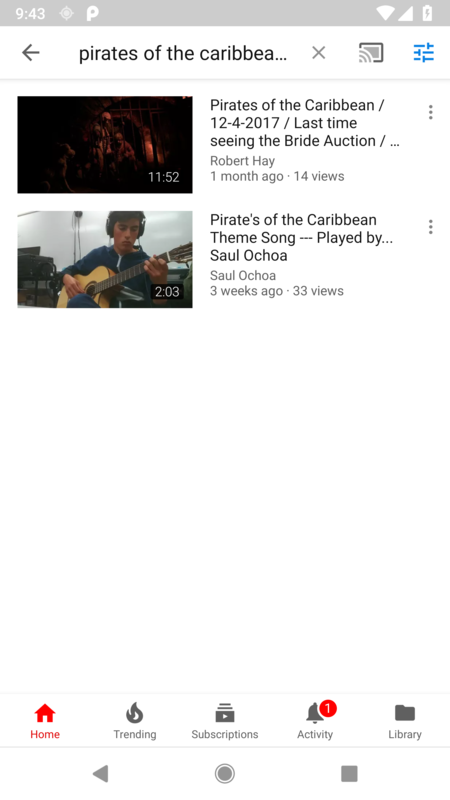 YouTube Music already offers an audio-only mode, but this could bring users to a higher-quality version of a song; or more importantly, it could lead to the album version of a song, which probably doesn't include acted scenes or various other things that can ruin the listening experience. And of course, this goes the other direction, where you might want to see the video after hearing the song first – a feature Google Play Music has offered for years. The other two topics for this teardown are pretty predictable. 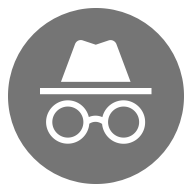 Quite a few Google apps have recently received an Incognito mode, giving users the ability to use them as if they were not signed in, but without going through the trouble of actually signing out first. YouTube Music will offer the same capability. And for those with a phone that offers an SD slot, you're probably going to be able to pick where your offline videos are stored. The two lines below have been added to most of YouTube's apps recently, so this will probably be a pretty widespread option. If you've been using the Google Assistant app, which is already not much more than a shortcut, you might find it interesting that it is about to add its own shortcuts. To elaborate, it's going to have app shortcuts on supported versions of Android. The four shortcuts listed are: Lens, My Day, Explore, and Settings. The recent rebrand from Android Wear to Wear OS came with more than just a new name and logo. According to a changelog posted to the Play Store, there are a few other improvements thanks to the v2.10 update. It's worth noting that the Wear team sometimes bundles changes from multiple things into a single list like this. In other words, some of these things might only work on watches after they receive the new firmware update, the new shuffle feature for playlists probably comes with an update to the Play Music app rather than the Wear OS update, and so on. In fact, this tweet from a few days later makes it sound like that shuffle mode is a separate rollout. A changelog was also posted for YouTube Creator Studio a few days ago, shortly after the release of v18.08. However, it was really the v18.03 update, released about six weeks ago, that was responsible for this change. 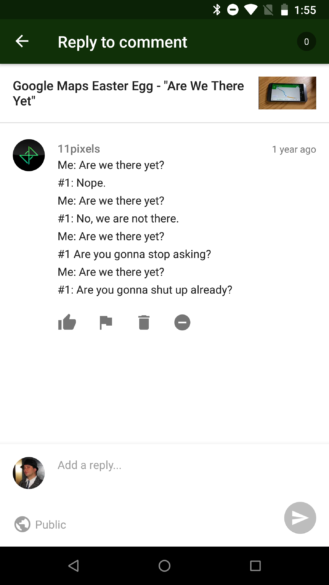 Improved the comments experience with inline replies, hearts and pins. Got rid of a bunch of bugs. Thanks to נתנאל מ for the great hero image!